Enacted as a response to the Supreme Court’s ruling in Employment Division v. Smith, the Religious Freedom Restoration Act passed the House by voice vote and 97-3 in the Senate. The Religious Freedom Restoration Act (RFRA) marked its 25th anniversary Nov. 16. Religious liberty advocates have commemorated the statute’s broad protections for Americans of every religion. The celebration, though, comes at a time when the future of RFRA is more uncertain than ever. RFRA was adopted by a broadly diverse coalition that included groups as different as the ACLU and the Traditional Values Coalition. Enacted as a response to the Supreme Court’s ruling against Native American religious practice in Employment Division v. Smith, RFRA passed the House by voice vote and 97-3 in the Senate. The court watered down the standard of protection for religious liberty in Smith and a diverse group of Americans made sure to restore strict scrutiny through RFRA. This sort of near-uniform support seems hard to imagine in today’s polarized debates about religious freedom and RFRA specifically. 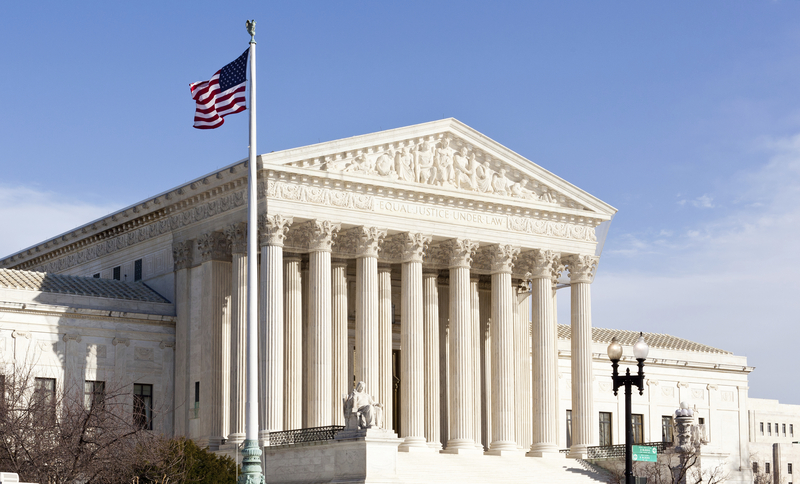 Ever since the 2014 Hobby Lobby case at the Supreme Court, where a 5-4 majority held that Congress intended RFRA to cover closely-held corporations, RFRA has become a political lightning rod. Hobby Lobby involved Hobby Lobby’s objections to paying for their employees’ morning-after and week-after birth control pills as mandated by the Affordable Care Act; the owners of Hobby Lobby objected because their religion forbids them from using these pills or facilitating their use by others. The Supreme Court used RFRA to protect the corporation from having to provide these pills in contravention to their religious beliefs. Ever since the court’s decision, many Americans have been alarmed by what they interpret as the new, unexpected reach of RFRA. Opponents of the decision explain they never anticipated the use of the statute in contexts where it infringed on the rights of others. Critics are especially alarmed by the impact on vulnerable communities. Today, when states attempt to enact RFRA, their efforts are vehemently opposed. States like Indiana and Arizona have seen widespread protests against the statute, most of it premised on protecting the rights of women and LGBTQ individuals, whom they fear will lose access to services and health care, not just from for-profit entities like Hobby Lobby, but also non-profit entities like Catholic hospitals. These concerns resulted in the Do No Harm Act, introduced in the House by Reps. Joe Kennedy III (D-Mass.) and Bobby Scott (D-Va.) on July 13, 2017. In response to this growing perception of RFRA as a tool that helps some groups harm other groups, several scholars have probed the types and rates of cases decided under the statute. One study, by Luke Goodrich and Rachel Busick, looked at more than 10,000 decisions in the Tenth Circuit, focusing on every religious freedom decision in the last five, and in some cases, 10 years. It found that “[c]ontrary to predictions that Hobby Lobby would open the floodgates of religious liberty litigation, these cases remain scarce, making up only 0.6 percent of the federal docket. 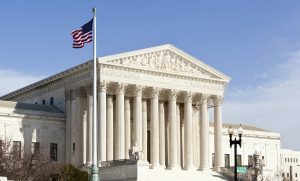 And contrary to predictions that religious people would be able to wield Hobby Lobby as a trump card, successful cases are even scarcer: there have been only five winning issues within the Tenth Circuit in five years (sharia, polygamy, eagle feathers, contraception, and the Ten Commandments).” The study also found that religious minorities — not Christians — continue to be the main benefactors of RFRA protections. For example, in one case, a 5-year-old Native American boy was told by his public-school district that school policy forbade boys from having long hair. The boy could not cut his hair in violation of his religious beliefs, but the school district refused to make any exceptions to its policy, even though girls were allowed to have long hair. The Texas RFRA gave the court the tools it needed to protect him. RFRA also protected a Jehovah’s Witness from having to pledge allegiance to the U.S. Constitution in violation of her belief that she should only pledge allegiance to God. And the law came to the rescue for two Sikh children who were not allowed to wear their kirpans to school. The kirpan is a small ceremonial dagger. The Sikh Articles of Faith obligates Sikhs to carry the dagger as a constant reminder about their obligation to protect and serve the weak. In Cheema v. Thompson, the school forced students to choose between school expulsion and criminal prosecution and the violation of their religious convictions. While the school’s concern was understandable, the court said RFRA required the school to be more careful in its prohibition and to find a solution that protects religious exercise. As for Muslims, in the post-9/11 context there has been a startling increase in anti-Muslim prejudice and discrimination against, for example, Muslim women in headscarves. In these cases, RFRA provides heightened protection. Most Muslim religious liberty wins have occurred under the Religious Land Use and Institutionalized Person’s Act, or RLUIPA. The two statutes, RLUIPA and RFRA, are connected in a number of ways — most centrally, RLUIPA was enacted to correct the constitutional infirmities of RFRA and extend RFRA’s high level of protection to prisoners and religious communities looking to build houses of worship. In this context, Muslims have secured many important victories, including a recent win at the U.S. Supreme Court (Holt v. Hobbs) and several multi-million-dollar settlements when they have faced hostility and resistance to their houses of worship. As much as today’s political debates make it hard to do so, it’s important to celebrate the major victories that Americans across the political and religious spectrum can agree on. The victories remind us of a time when diverse Americans actually agreed on something; by remembering that spirit of collaboration, we can perhaps move forward more positively into the next 25 years of RFRA. Asma T. Uddin is senior scholar at the Religious Freedom Center of the Freedom Forum Institute. Her email address is: auddin@freedomforum.org. This entry was posted in News and tagged religious freedom, religious liberty, Supreme Court Case, U.S. Supreme Court by Asma T. Uddin. Bookmark the permalink.